Business Accounting is the process of communicating financial information about a business entity to relevant users or entities such as potential shareholders, creditors (including banks or vendors), financial analysts, economists, and government agencies. Accounting can be divided into two major fields: management accounting and financial accounting. Management accounting concentrates on reporting to people inside the business entity and provides information to employees, managers, owner-managers and auditors. The main goal is to provide the management with a basis for making major decisions related to management and operations. One of the vital skills of an accountant is to select relevant information for the audience and communicate financial statements clearly. A career in accounting requires an aptitude for mathematics and the ability to analyze compare and interpret facts and figures quickly. A Bachelor or Master degree in China schools helps equips students with skills like: numerical and logical thinking, attention to details and analytical thinking required for manipulating and organizing a significant amount of financial data. Accounting graduates choose from career options such as: accountant, payroll clerk, economist, tax adviser, management consultant, retail banker, auditor, treasury analyst, cost estimator, anti-money laundering specialist, and chief financial officer and can choose to work either in their country or here in China. More than 2,000 years ago, there were students from East Asia and the Arab States who came to China to study. From the 19th century onwards, China began to build modern universities. After the founding of The People's Republic of China in 1949, an increasing number of universities were established. During the 1950s, Chinese universities began to accept students from Vietnam and Eastern European countries. Today, around 600 of China's roughly 3000 universities are enrolling students from around the world. As China's economy continues to develop, coming to China to study has become increasingly popular. In 2009, there were about 240,000 international students studying in China. Some pursue their degree here; others attend short-term programs to study Chinese language and culture. The total enrollment of accounting program in China is more than 100000 with a male to female ratio of 26% to 74%. After the completion of Accounting program, graduates either proceed with their further studies or receive employment opportunities relating to Accounting including those in manufacturing, services, financial institutions, accounting firms, non-profit organizations, government and so on. The Accounting program aims to help international students to study Accounting in China, develop the competence of students in mastering both the basic theories and practices of accounting, and at the same time provide them with specifically designed core courses such as basic accounting, advanced accounting, financial accounting, finance, public economics, tax law and etc. China's higher education system boasts a strong reputation worldwide, while China's manufacturing industries are renowned for their international competitiveness. Chinese university graduates are welcomed by leading universities in North America, Europe, Japan, Australia and other countries. Every year, there are about 20 thousand students graduates in China who go to study or work in countries all over the world. Business accounting is the measurement, processing and communication of financial information about economic entities such as businesses and corporations. Accounting, which has been called the "language of business", measures the results of an organization's economic activities and conveys this information to a variety of users, including investors, creditors, management, and regulators. Practitioners of accounting are known as accountants. Initially known as Fudan Public School, Fudan University was founded in the year 1905. Fudan, literally meaning (heavenly light shines) day after day, indicates inexhaustible self-reliance and industriousness. 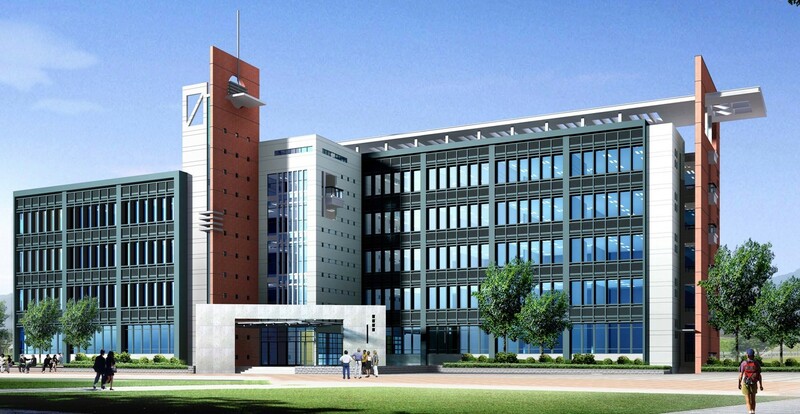 Fudan consists of 29 schools and departments, with seventy undergraduate disciplines. Located in Shanghai, Donghua University is composed of the Yan’an Road Campus at the downtown area and the Songjiang Campus at the historical cradle of the city. The history of Donghua University can be traced back to the establishment of Nantong College in 1912 by Zhang Jian, a famous industrialist in Qing dynasty. In 1951, East China Institute of Textile Science & Technology was founded; in 1985, the name was changed to China Textile University; in 1999, it was changed again to Donghua University. Donghua University was approved as the state-key university in 1960 and it is one of 75 universities that directly under the Ministry of Education of China. Donghua University has 5 post-doctoral research centers, 28 doctoral degree programs, 60 master’s degree programs and 56 undergraduate programs. There are over 2700 faculty members and nearly 30,000 enrolled students. Xiamen University (XMU), founded in 1921 by Tan KahKee, the renowned patriotic leader of overseas Chinese, was the first Chinese higher-education institution established by an overseas Chinese. XMU is the only university in China’s Special Economic Zones that enjoys privileged support from both the national “211 Project” and the “985 Project”. XMU is recognized as a first-class national institution of higher learning with an international reputation as a centre of scholarly excellence. Founded in 1901, Shandong University is a key comprehensive university directly under the jurisdiction of the Ministry of Education of the People's Republic of China. It is one of the oldest renowned universities throughout the country and one of the high-ranking universities whose development is given priority by the state.The main part of Shandong University is located in Jinan with several campuses, and it has a branch in Weihai, a coastal city in Shandong province. The current president is Professor Zhan Tao, an outstanding mathematician. Hunan University is situated at the foot of the picturesque Yuelu Hill and on the west bank of the rippling Xiangjiang River in Changsha, Hunan. Hunan University traces its origin to Yuelu Academy founded in 976 A.D. officially named in 1926, it has always been honored as a “One-Thousand-Year-Old Institution”. Chairman Mao Zedong, one of the founding fathers of the People’s Republic of China, inscribed the name of the University in 1950. Jiangnan University, dating back to 1902, locates at Wuxi City, Jiangsu Province, which is the core of Yangtze River Delta. Jiangnan University functions directly under Ministry of Education, and sees quality as her life line. Now there are 17 schools, covering fields of economics, education, laws, literature, science, medicine, engineering, agriculture, business etc., among which food science, fermentation, textile, industrial design play the leading role in nationwide, and have great influence in the world. Some newly developed disciplines such as International Economy and Trade, Business Administration have enrolled many international students. Tongji University is one of the leading universities directly under the authority of Ministry of Education in China. As a state key university, it has been included in the State-funded Project 211 and the 21st Century Education Rejuvenation Action Plan of China. After the establishment of the People's Republic of China in 1949, Tongji University became an engineering university following a nationwide restructuring of institutions of higher learning in 1952. It was the largest university of civil engineering and offered the most specialized engineering programs in China. The university has developed rapidly into a multidisciplinary university featuring sciences, engineering, economics, management, liberal arts and law, with the initiation of the open up policy under the authorization of the central government in 1978. Chongqing University (CQU) is a key national university and a member of the “Excellence League”, located in Chongqing, Southwest China. It is also one of the “211 Project and 985 Project” universities with full support in the construction and development from the central government and Chongqing Municipal Government. Founded in 1929, Chongqing University now consists of six faculties in Science, Social Sciences, Humanities, Engineering, Built Environment, Information Science and Technology. The University has 35 schools, and offers 96 undergraduate programs, 236 postgraduate programs, 121 doctoral programs, 19 professional degrees, and 29 mobile workstations for postdoctoral study. Shanghai University is one of the key universities in the "Project 211". The current president of the university is Professor CHIEN Weichang, a famous educator, scientist, social activist and member of Chinese Academy of Sciences. The Party Secretary of Shanghai University is Professor YU Xinhui and the Executive Vice President is Professor ZHOU Zhewei. Shanghai University has a highly qualified and experienced team of faculty. There are currently more than 2,500 full-time faculty members with 11 members of the Chinese Academy of Sciences and the Chinese Academy of Engineering. Established in 1985, Sun Yat-sen Business School (SYSBS) was instituted to offer a broad range of business degree programs. With the generous endowment of HK$20 million from the Ho's Education Foundation (its chairman at the time, the late Mr. Ho Sin Hang, was chairman of Hong Kong's Hang Seng Bank), SYSBS became the first business school in China to be instituted by an overseas foundation, and one of the first schools to be engaged in business education in Mainland China. Since its inception, SYSBS has not only continually received the support of the Ho's Education Foundation, but it has also attracted donations from other noted overseas foundations such as the Fok Ying Tung Foundation, the Peihua Foundation, and the Xiangjiang Foundation. Today, SYSBS is regarded as a leading business education institution, with both the "211" and "985" quality marks, and is one of the four prestigious institutions throughout China to be conferred the National Key Discipline for Business Administration and the National Discipline for Management Science. Accordingly, SYSBS functions in tandem with the University's charter as well as with a series of the Chinese Ministry of Education (MOE) and government-mandated education standards, procedures, regulations, and expectations. In 2013, SYSBS was named the second-ranked university business administration program in the list of top universities just released by the China Academic Degrees and Graduate Education Development Center (CDGDC). The CDGDC, a qualifications verification program under the direction of the MOE, evaluates 391 Chinese universities and research institutions by discipline, in order to provide objective comparative information to students, parents, and communities. In 2012, China's MOE appointed SYSBS as one of fifteen pilot schools. SYSBS has a number of building complexes that support teaching, administration and research. For example, Scienscope Hall is used predominantly for the MBA programs, Tsun Wen Tong Hall is used predominantly for the EDP programs. The school is divided into six departments – businesss administration, accounting, marketing, finance and investment, hospitality and service management, and management science, with a combined total of 109 full-time faculty members, 46 professors, 50 associate professors, and 13 assistant professors. SYSBS currently offers bachelor's degrees in business administration and management science, academic master's degrees in business and management, professional master's degrees (MBA, EMBA, MPAcc, MF, MAud, etc. ), and doctoral degrees in business and management. Over the course of the School's development, SYSBS has taken pride in its mission – to enrich our students by providing a flourishing learning environment and by integrating into the programs both Chinese and Western management wisdom, grounded in integrity, innovation and social responsibility. In China accounting education plays an important role in providing managerial talents to support and ensure the economic reform, state sector restructuring, and the prosperous international economy. Chinese market-based economic reforms have created domestic demand for accounting professionals and academicians, and there has been a corresponding rapid expansion of university accounting education within the country. Following these developments, organizational and curricular changes and substantial growth in the system to produce more university-qualified graduates have sought to serve both local and international needs. Chinese Universities with accounting program have taken on an internationalized dimension, reflecting both domestic economic changes and wider developments beyond China’s borders. As results more international students have been registered to study accounting in China. Since the founding of the People's Republic of China in 1949, following the guideline of unity among all ethnic groups for common prosperity and drawing on China's historical experience and the useful practices of other countries, always with a view to China's actual situation, the Communist Party of China (CPC) and the Chinese government have carved out a path for the successful solution to ethnic issues with Chinese characteristics, exercised the ethnic policy featuring equality, unity, regional ethnic autonomy, and common prosperity for all ethnic groups, thus forming a relatively complete ethnic policy system. China is a unified multi-ethnic country jointly created by the people of all 56 ethnic groups. In the long course of historical evolution people of all 56 ethnic groups in China have maintained close contacts, developed interdependently, communicated and fused with one another, and stood together through weal and woe, forming today's unified multi-ethnic Chinese nation, and promoting the development of the nation and social progress. The knowledge gained from accounting studies in China greatly helps a foreign graduate to easily find a job in any company or institution all over the world. Foreign students graduated from China are able to use what they have learned back home with their family’s personal finances. Majoring in accounting in china means being able to understand and deal with financial situations which can make the company more efficient in tangible ways. For international students with accounting degree, may decide to embark on a career in financial accounting someone with this degree can be hired as accountant or auditor in a chartered accountancy practice, industry, or the public sector. International students with accounting degree in management accounting may be hired as business consultant or financial manager in a manufacturing, service, or consultancy organization. Currently, a large number of international students who completed accounting education in China were hired by famous Chinese accounting firms or institutions. International students can both study and save money to study in China. Both living costs and school fees are comparatively inexpensive, especially by comparison with United States and other western countries. There are scholarships from the government, universities, foundations and corporations designed to support international students from different academic disciplines.